Lee, C., Seidel, H. S., Lynch, T. R., Sorensen, E. B., Crittenden, S. L. and Kimble, J. (2017). Single-molecule RNA Fluorescence in situ Hybridization (smFISH) in Caenorhabditis elegans. Bio-protocol 7(12): e2357. DOI: 10.21769/BioProtoc.2357. Lee, C., Sorensen, E. B., Lynch, T. R. and Kimble, J. (2016b). C. elegans GLP-1/Notch activates transcription in a probability gradient across the germline stem cell pool. Elife 5. Single-molecule RNA fluorescence in situ hybridization (smFISH) is a technique to visualize individual RNA molecules using multiple fluorescently-labeled oligonucleotide probes specific to the target RNA (Raj et al., 2008; Lee et al., 2016a). We adapted this technique to visualize RNAs in the C. elegans whole adult worm or its germline, which enabled simultaneous recording of nascent transcripts at active transcription sites and mature mRNAs in the cytoplasm (Lee et al., 2013 and 2016b). Here we describe each step of the smFISH procedure, reagents, and microscope settings optimized for C. elegans extruded gonads. smFISH enables direct and precise quantitation of mRNA in vivo. In addition, multiple RNA species can be scored simultaneously in the same cell by multiplexing smFISH probes. There have been previous publications using smFISH in C. elegans, but those studies used wide-field microscopy, which often has lower spatial resolution and requires additional image processing (e.g., image deconvolution) (Ji and van Oudenaarden, 2012). 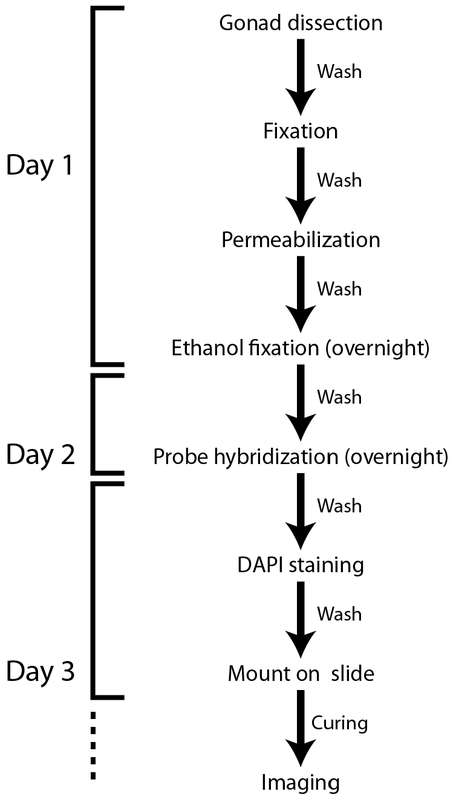 Here we describe an smFISH procedure optimized for the C. elegans germline tissue. Each step is detailed, including use of confocal microscopy to obtain precise measurements. Our protocol minimizes sample-to-sample variability and allows precise quantitation of mRNA and nascent transcripts. Note: Any cover glass compatible with the microscope used for smFISH can be used. Note: Figure 1 shows a flowchart of the protocol. All spins are at 400 x g (2,000 rpm) for 30 sec unless otherwise stated and buffer recipes are listed at the end. smFISH probes can be designed and purchased through the Biosearch Technologies website (https://www.biosearchtech.com/). Choose fluorophores compatible with the microscopic system used for the experiments. For multiplexed probes, carefully choose probe-conjugated fluorophores to eliminate bleed-through between channels during image acquisition. To store smFISH probes, resuspend in 20 µl TE buffer (see Recipes) at pH 8.0 (final concentration of 250 µM) and store at -20 °C. This stock solution can be diluted to an appropriate dilution (e.g., 1:10-1:100) in TE buffer to make the working solution. Choose the dilution that works best for smFISH (e.g., the highest signal-to-noise ratio) and keep diluted probe solution at -20 °C in the dark. The frozen probe solution should be thawed at RT when used for smFISH. In our hands, multiple rounds of freezing-thawing did not affect the performance of smFISH. Do not boil the probes. Wipe down bench top, gloves, and pipettors with RNaseZap®. Pick worms from growth plates into glass Petri dish (or depression slide) with PBS with 0.1% Tween-20 (PBSTw) containing anesthesia (e.g., 0.25 mM levamisole [or tetramisole]). Alternatively, add 200-300 µl PBSTw with anesthesia to growth plate and pipet worms into Petri dish or depression slide. A larger volume (1-2 ml) of PBSTw can also be used for moving worms into Petri dish. In case of whole worm staining, skip steps B2-B3 and proceed to step B4. Extrude gonads as quickly as possible (< 10 min including spin) directly in the Petri dish. Cut behind pharynx or at tail with a #10 scalpel or a needle (Figure 2) (Crittenden et al., 2017). Pipet extruded gonads into a 1.5 ml microcentrifuge tube. Spin and remove supernatant. Add 1 ml fix solution (final 3.7% formaldehyde v/v in 1x PBS + 0.1% Tween-20) and incubate for at least 15 min (up to 45 min) at room temperature (RT) on rocker. Wash 1 x in 1 ml PBSTw. Incubate for 10 min in 1 ml 1x PBS + 0.1% Triton X-100 at RT to permeabilize. Wash 2 x with 1 ml PBSTw. Resuspend in 1 ml 70% EtOH and incubate at 4 °C for 16-18 h (overnight). The sample can be stored in 70% EtOH for up to one week. Figure 2. Gonad extrusion. Cut the head (behind the pharynx) or tail of the worm (black dashed lines) using a scalpel or a needle to extrude gonads. Internal pressure of the worm causes gonads to extrude readily. Image: Maria Gallegos. Make wash buffer fresh, letting formamide come to RT before opening. Bring hybridization buffer (HB) to RT before opening. Thaw diluted probe, protecting from light. Spin the extruded gonads prepared on Day 1, remove ethanol. Add 1 ml wash buffer, equilibrate for 5 min at RT. Spin and remove as much buffer as possible. Add 1 μl diluted probe to 100 μl HB per sample (final probe concentration of 0.025-0.5 µM) and gently flick the tube (see Day 2 hybridization notes). Resuspend sample in HB with probe and mix well. Incubate overnight at 37 °C, with rotation and protected from light. Note: You can leave samples for up to 48 h at this step. Add 1 ml smFISH wash buffer, invert to mix. Spin and remove buffer. Note: If worms don’t pellet well due to HB viscosity, this spin may be done at 400-500 x g (2,200-2,400 rpm) for 1.5 min. Wash with 1 ml wash buffer + 1 μg/ml DAPI for 30 min on rotator (protected from light). Wash 2 x with 1 ml wash buffer. Note: Either wash 5 min on the rotator or invert tube ~10 times before spinning down again. Remove as much wash buffer as possible from fixed samples. Resuspend gonads in the mounting media (e.g., ProLong Gold Antifade Mountant or GLOX buffer). Let sit for 30 min to a few hours. Pipet 12-15 µl onto a slide, cover with a 22 x 22 coverslip. Remove excess liquid. Cure at least overnight and up to 4 days in the dark at room temp or 4 °C. The ProLong Gold user manual recommends a ‘curing’ process (~24 h at RT) for best performance. We have observed that the curing process does improve fluorescence signal. Seal with nail polish for long term storage. Representative smFISH image (Figure 3). Figure 3. sygl-1 smFISH at the distal gonad. The sygl-1 gene is a direct target of Notch transcriptional activation. SYGL-1 protein is a critical regulator for germline stem cell (GSC) maintenance. Individual nascent transcripts (bright white nuclear spots; overlay of yellow and magenta channel, indicated by arrowheads) and cytoplasmic mRNA (magenta) of sygl-1 are visualized with spectrally distinct smFISH probes. DAPI marks DNA (blue). Maximum Z-projection is shown. Dashed line marks gonadal outline. Scale bar = 5 µm. Modified from Lee et al. (2016b). Images taken using confocal microscopy do not require further image processing. However, images taken using wide-field (compound) microscopy must be deconvolved with carefully chosen image processing conditions (e.g., iterations). A caveat to the wide-field method is that over- or under-processed images can produce false-positive or false-negative signals. Using confocal images, the RNA spots can be systematically quantified with standard image processing (e.g., ImageJ) or published tools (e.g., MATLAB codes) (Mueller et al., 2013; Lee et al., 2016b). The wide-field microscope with a typical CCD camera (e.g., Hamamatsu C11440) generates microscopic images with the resolution high enough (pixel size: 0.1-0.2 µm) for identifying single RNA spots (Lee et al., 2016a). For confocal microscopy, we recommend using a pixel size similar to the size that works for wide-field microscopy (Abbaszadeh and Gavis, 2016; Lee et al., 2016b). As a first step of smFISH analysis, we quantify the size, shape (e.g., Gaussian distribution), signal intensities and subcellular location of detected RNA spots to validate singularity of detected RNA spots. In the Kimble lab, we consistently see nuclei containing one to four active transcription sites using intron-specific smFISH probes, with four matching the maximum number of loci of a gene (after DNA replication in S phase). The nascent RNAs are nuclear and colocalized to DAPI (or other DNA strain of choice). The mRNAs are cytoplasmic. Detected mRNA spots show tight signal distribution (C.V. < 0.5) in most RNA species, indicating that the detected spots are likely single RNA molecules (Lee et al., 2013 and 2016b). Control experiments such as detecting RNAs in the target gene knock-out background and using a different set of probes hybridizing the same target gene should be done to ensure the specificity of the probes to the target gene. We used the standard settings of smFISH probe designer (Biosearch Technologies), which spread the probes throughout the gene. We have not tested whether smFISH performance changes depending on the region the probes bind, but one prediction is that 5’ probes will better visualize earlier transcription events. RNA-seq data from consortiums (e.g., ModEncode) may provide information on the gene expression level before choosing the target gene. For the C. elegans germline, we use RNA-seq data (Ortiz et al., 2014 and Wormbase), in-situ hybridization data (NEXTDB) and qPCR to estimate the level of target gene expression. Periodically re-wipe gloves and pipettors with RNaseZap®. Use RNase-free filtered tips and RNase-free tubes; keep tip boxes closed when not in active use. Put 50-100 worms in the same tube for the entire protocol. Minimize exposure to light during and after hybridization. Shield tube in your hand while changing buffers/tips, and wrap in foil for washes. To remove liquid from samples, use a P1000 pipettor because it can remove most liquid (within ~20 μl) without exposing tube to dissection scope light. The exceptions are before adding HB and before adding mounting media (look under the dissection scope [or check your tip before expelling liquid] and use a P1000, then a P200 and then a P10 to remove as much wash buffer as possible). Probe dilution is an effective way to optimize and should be determined empirically for each probe set. Probe stocks (250 μM) are diluted in RNase-free TE buffer before adding to the HB and typical final concentrations in HB are 0.025-0.5 μM (usually 0.25 μM is the first concentration we try). More dilute = less background. While samples are equilibrating in wash buffer, mix HB and probe in a separate RNase-free tube. It is recommended to use 50-100 μl HB + 1-3 µl probe per sample of fixed dissected worms. Note: Adding HB and probe sequentially on top of fixed germlines can also work, but mix gently and thoroughly–no vortexing. Note: With the Quasar 570 probe, either ProLong Gold Antifade or GLOX mounting media can be used. We saw essentially no difference in signal quality between the two media. Slides and coverslips can be baked as an extra precaution against RNase contamination, or simply dedicate a box to smFISH. Collect any gonads/PLG remaining in tube and add to drop of gonads/PLG on the slide. Or if there is a lot left, mount on a separate slide. Remove bubbles from PLG droplet, being careful not to take gonads with them. Recommended methods include: popping with eyelash tool or flamed hot platinum wire, or aspirating gently with P10. Arrange worms inside drop quickly, using a pick to spread samples evenly. Cover with a 22 x 22 mm square coverslip. Place in drawer or other dark areas, on flat surface, at RT to cure. Put gentle pressure on coverslip to remove excess liquid and flatten gonads. Seal coverslip edges with nail polish. Stored in the dark at 4 °C, samples last for months. Remove wash buffer, resuspend in 850 μl GLOX without enzymes. Let sit for 5 min (or place at 4 °C several hours until ready to image, as this method images each sample immediately after adding GLOX + enzymes). Immediately before imaging, remove buffer and add 100 μl GLOX + enzymes. Dissected gonads are extremely sticky; it is helpful to pipette up and down once in 1-10% Triton X-100 to coat the inside of the pipette. Pipette 4 μl sample onto a 22 x 22 mm square coverslip. Place a 12 x 12 mm square coverslip over sample drop. Lay a Kimwipe over the sample and press lightly on edges to remove excess liquid. Invert coverslip ‘sandwich’ so that the 12 x 12 coverslip is face down and placed on microscope slide to create imaging chamber. Seal with VALAP, starting with corners and then sealing edges. Be very careful that VALAP seal is airtight. Note: In case of using multiple fluorophores, carefully select the dichroic mirrors (wide-field microscope) or acquisition wavelength range (confocal microscope) to avoid signal bleed-through. Use settings to minimize photobleaching for image analysis and single-molecule quantitation. We recommend acquiring images sequentially, channel by channel, starting from the excitation light with the longest wavelength for the best performance. Below are the general smFISH image acquisition settings used in the Kimble lab. Zoom 300% to focus on distal ~60-70 µm of germline. Pinhole: ~1 Airy unit. Match pinholes for exon and intron channels to improve colocalization. We have adjusted to between 1.0 and 1.5 to gather more light–typically, we stay below 1.25-1.3. Note: This way transcription sites are present in more than one slice and all mRNAs should be captured. Identifying C. elegans gonads: The gonads are typically attached to the worm carcass but sometimes they fall off during the wash step. Both attached and detached gonads can be imaged for smFISH. The extruded gonad is an elongate light-colored tissue with hundreds of packed small cells. The extruded intestine, by contrast, is an elongate dark-colored tissue with only tens of large cells and is therefore morphologically different from the gonad. It is not necessary to isolate the gonads but the microscopic field can be adjusted so that only the region of interest within the gonad will be imaged. *Note: 10% formamide is generally used. However, formamide concentration can be adjusted to modify stringency. If target RNA has high GC content, try increasing formamide to 15-20%, or up to 50%. If adjusting formamide concentration, match concentration in wash buffer. Combine dextran sulfate and DEPC-H2O, rock ~30 min until fully dissolved. Add 20x SSC and formamide; invert to mix. Store in 500 μl aliquots at -20 °C. We started with these reagents but gradually omitted them. If experiencing problems with background, try adding them back in one at a time (in order listed). Note: Prepare fresh immediately before use. Note: Keep on ice or at 4 °C. Note: Pass through a 0.2 µm syringe filter and store at 4 °C. Note: Divide into 100 µl aliquots and store at -20 °C. Note: Store in the dark at 4 °C. Vortex or pipet up and down before use but do not spin. Note: Store as 100 µl aliquots at -20 °C. Note: To use, melt at ~70 °C and apply with paintbrush or metal spatula. This protocol has been adapted from Lee et al. (2016b). ESK was supported by the American Cancer Society–George F. Hamel Jr. Fellowship (PF-14-147-01-DDC). 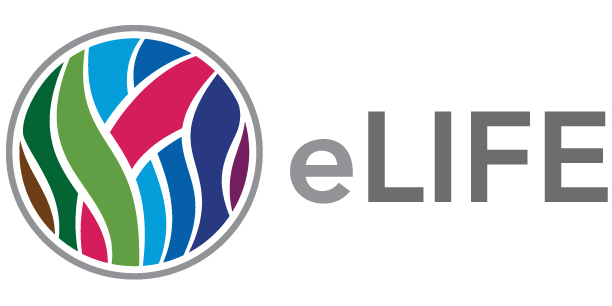 HSS was supported by an Ellison Medical Foundation Fellowship of the Life Science Research Foundation. TRL is supported by the National Science Foundation Graduate Research Fellowship Program (Grant No. DGE-1256259). JK is an Investigator of the Howard Hughes Medical Institute. Abbaszadeh, E. K. and Gavis, E. R. (2016). Fixed and live visualization of RNAs in Drosophila oocytes and embryos. Methods 98: 34-41. Crittenden, S. L., Seidel, H. S. and Kimble, J. (2017). Analysis of the C. elegans germline stem cell pool. Methods Mol Biol 1463: 1-33. Ji, N. and van Oudenaarden, A. (2012). 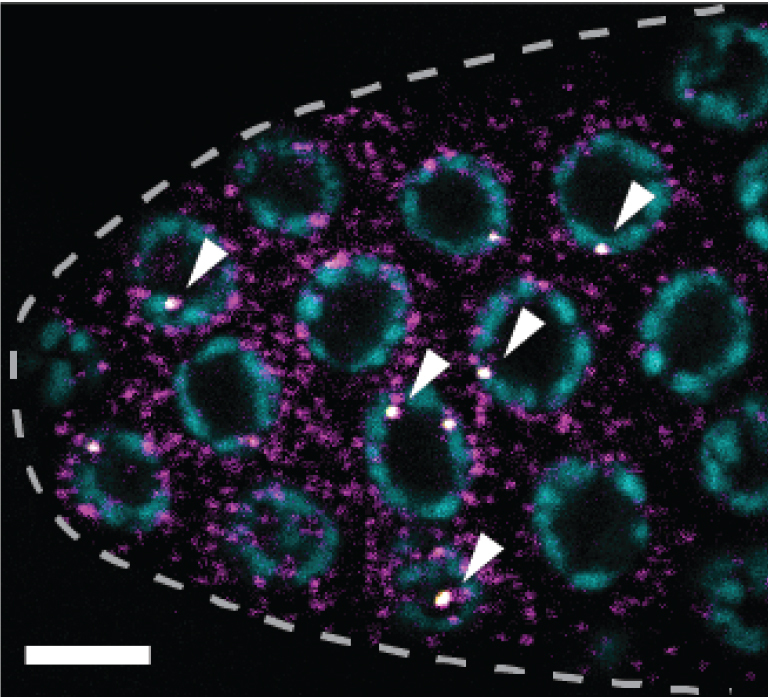 Single molecule fluorescent in situ hybridization (smFISH) of C. elegans worms and embryos. WormBook: 1-16. Lee, C., Roberts, S. E. and Gladfelter, A. S. (2016a). Quantitative spatial analysis of transcripts in multinucleate cells using single-molecule FISH. Methods 98: 124-133. Lee, C., Zhang, H., Baker, A. E., Occhipinti, P., Borsuk, M. E. and Gladfelter, A. S. (2013). Protein aggregation behavior regulates cyclin transcript localization and cell-cycle control. Dev Cell 25(6): 572-584. Mueller, F., Senecal, A., Tantale, K., Marie-Nelly, H., Ly, N., Collin, O., Basyuk, E., Bertrand, E., Darzacq, X. and Zimmer, C. (2013). FISH-quant: automatic counting of transcripts in 3D FISH images. Nat Methods 10(4): 277-278. Ortiz, M. A., Noble, D., Sorokin, E. P. and Kimble, J. (2014). A new dataset of spermatogenic vs. oogenic transcriptomes in the nematode Caenorhabditis elegans. G3 (Bethesda) 4: 1765-1772. Copyright Lee et al. This article is distributed under the terms of the Creative Commons Attribution License (CC BY 4.0).